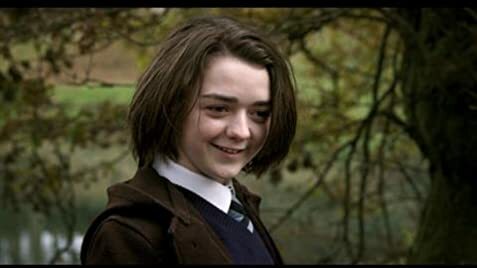 "Game of Thrones" - Maisie Williams In "S"
A woman confronting a painful time in her life after she discovers the truth about a mysterious old man living across from her. A British teenager is forced by a computer hacker to do his bidding. If she refuses, the hacker will leak compromising photos of her to the public. A visually stunning and multi-faceted mystery drama. 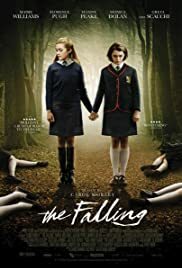 In 1969, Lydia (Maisie Williams) and Abbie (Florence Pugh) are two best friends at an English girls' school, but their peace is shattered when Lydia is taken over by a mysterious illness. Her behaviour becomes erratic and uncontrollable, and as a result, her emotionally distant mother (Maxine Peake) becomes increasingly disquieted. As the illness spreads throughout the school, it begins to take its toll and tear the tight-knit group apart, and the cause of it seems to lie deeper in the minds of the girls than anyone could ever have expected. Williams and Pugh are enchanting as Lydia and Abbie, and the supporting cast, including Greta Scacchi and Monica Dolan, give the film a perfectly executed sense of perception. Peake, too, gives an astounding performance, stealing the scene with every word she utters. Carol Morley's direction creates a lingering uneasiness about the film, which contrasts eerily with the stunning landscape of the English countryside. The story is layered with intertwining details that increase the enigmatic charm of it without crossing the fine line into pretentious melodrama. Despite, at times, being directionally unclear, the film's dream- like quality brings all of the elements of the production together to form a visually stimulating mystery drama. This haunting tale of mass hysteria is a masterpiece that only proves Morley's promise as a feature film director. 36 of 67 people found this review helpful. Was this review helpful to you?